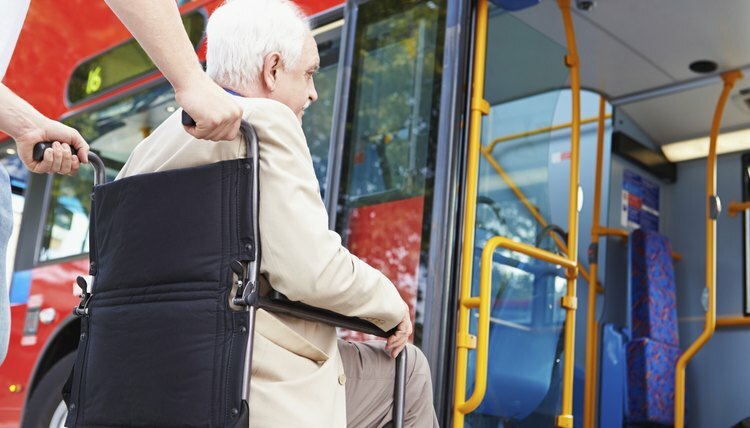 The Illinois Benefit Access Program (formerly called the Illinois Circuit Breaker) provides benefits for seniors and persons with disabilities, such as a fee discount on license plates and free rides on fixed-route transits. You must apply online to receive these benefits, which are based on certain eligibility requirements, such as age, disability, income and residency. Two benefits are available to eligible seniors or persons with a disability under the Illinois Benefit Access Program: the ride free transit card and the license plate discount. The ride free transit card lets you ride free on many transport services provided in your county state, such as the Chicago Transit Authority (CTA), Metra and Pace fixed-route services. The license plate discount ($75) can be used for one vehicle per household. These benefits are available for two years after you been approved. At the end of the two-year period, you need to file another Benefit Access application. To be eligible for the Illinois Benefit Access Program, you must be 65 years or older by December 31 of the current year, or 16 to 64 years of age and totally disabled before January 1 of the current year. For the purposes of the program, "person with a disability" is defined as a person unable to engage in any substantial, gainful activity due to a medically determinable, physical or mental impairment which can be expected to result in death, or has lasted or can be expected to last for a continuous period of not less than 12 months. You must be a resident of Illinois at the time you make the application. Additionally, your income must fall under certain limits. As of October 2018, these limits are $27,610 for a one-person household, $36,635 for a two-person household and $45,657 for a three-person household. Many things count as income, including alimony or maintenance received, business income, capital gains, cash assistance from the Illinois Department of Human Services and other governmental cash public assistance, civil service benefits, Social Security income, rental income and wages. An Illinois Department on Aging benefit access application must be made online; no paper application is available. To apply, follow the link on the Illinois Department on Aging website. On your benefit access application form (formerly known as circuit breaker form in IL), you must provide your Social Security number, date of birth and, if you are married and living together, your spouse's Social Security number and date of birth. If you need help filing your application, contact your local Senior Health Assistance Program site, details of which are available on the Illinois Department on Aging website. If you have questions about your application, contact the Senior HelpLine at 1-800-252-8966 (toll-free) or 1-888-206-1327 (TTY). When you submit your application online, you also have the option to print a summary of your application for your own records. The Illinois Department on Aging website provides current application processing times. You can expect to wait up to 12 weeks for your application to be processed. Following determination of your eligibility, the license plate discount is available for use within two business days. Your discount is not issued by the Secretary of State until confirmation of your eligibility shows on its files. The ride free transit benefit is available to the transit district the day after you are approved. You can then print a certificate stating that you are eligible for the free ride. The next step is to contact your local public transit system to find out what its particular requirements are for you to get the free ride benefit. Gillespie, Claire. "Instructions for the Illinois Circuit Breaker Application." , https://legalbeagle.com/10004528-instructions-illinois-circuit-breaker-application.html. 15 October 2018.